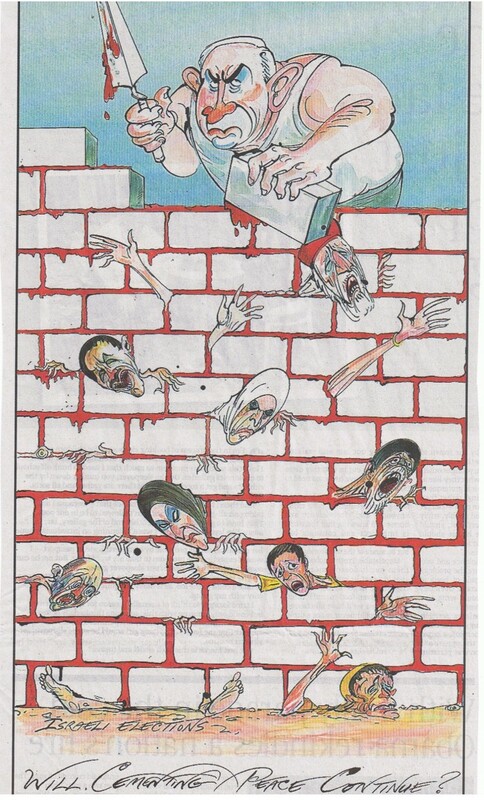 The European Jewish Congress on Sunday demanded that the Sunday Times apologize for publishing a cartoon depicting Prime Minister Benjamin Netanyahu building a wall on top of Palestinians with their blood standing in for cement. The uproar that erupted over the cartoon was particularly offensive due to its publication on International Holocaust Remembrance Day. Memorial services were held worldwide on Sunday to commemorate International Holocaust Remembrance Day. The United Nations in 2005 designated January 27 as a yearly memorial day for the victims of the Holocaust – 6 million Jews and millions of other victims of Nazi Germany during World War II. The day was chosen because it falls on the anniversary of the liberation in 1945 of Auschwitz, the Nazis’ most notorious death camp and a symbol of the evil inflicted across the continent.